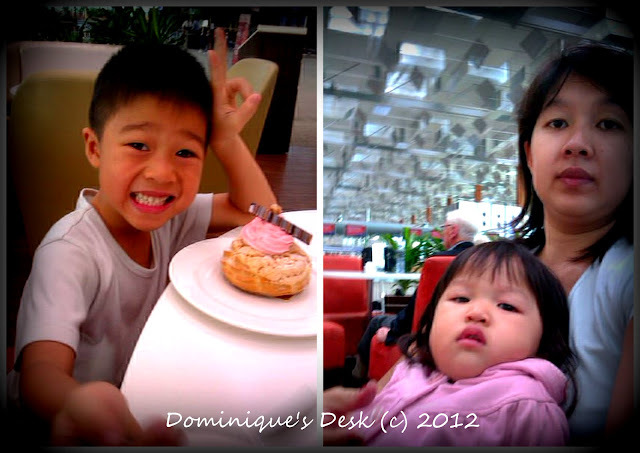 Last week I took Doggie boy and Tiger girl out for breakfast at the airport. Doggie boy wanted a change from the normal breakfast that we have at home and I didn’t fancy going for a McDonalds takeaway breakfast so we settled for breakfast at Coffee Club instead. Tiger girl loves eating sausages while Doggie boy wanted pancakes so we settled for the breakfast set shown above. The kids enjoying their breakfast time with me. Tiger girl having the best seat in the house on my lap. This little girl simply refuses to sit in a high chair when we are out having a meal. Sitting on mummy is 100x more comfy then a wooden high chair. What have you been having for breakfast lately? Top 10 People I would invite to Dinner	Writer’s Workshop: Let’s Go Kids!! I have about the same thing every day – scrambled egg beaters and a glass of skim milk! haha! Dom, my daughter at 10 still loves to sit on me even though there are PLENTY of chairs around. ~__~ No joke when she is getting heavier. Looks like a nice breakfast! 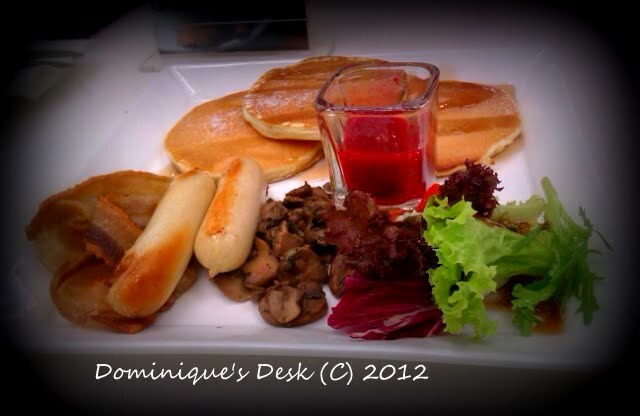 Next time you can try those at Cedele – absolute yums and breakfast is served throughout the day. Looks like a yummy breakfast. Yummy!! That looks really delicious! My little girls love to have pancakes and sausages in their breakfast too. Breakfast would be perfects when families eat together. 😀 Nice photos there. I can see a happy family here.